Exhibition at the Sakip Sabanci Museum, Istanbul: In Praise of God – Anatolian Rugs in Transylvanian Churches opened till 19 August 2007. 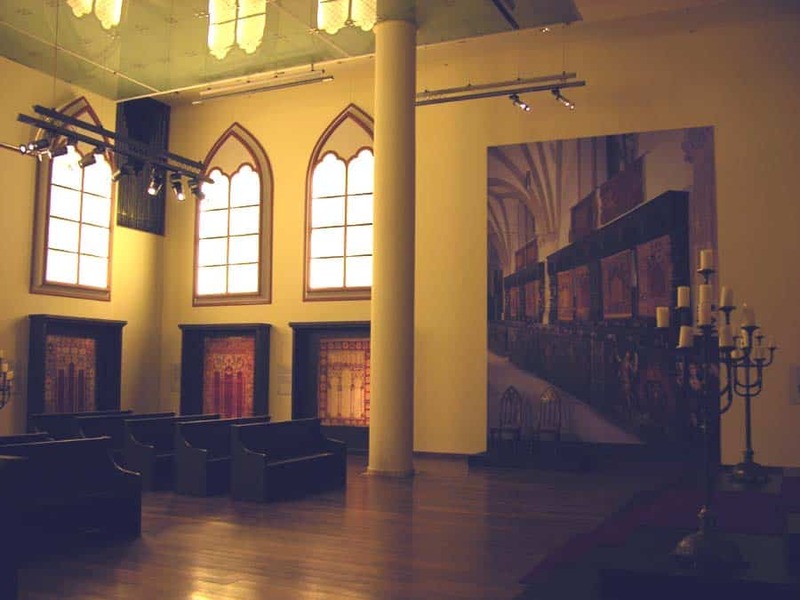 About 40 remarcable Ottoman rugs from the Churches in Transylvania and from museums in Berlin and Budapest, of which very few survived in Turkey, were exhibited at the SSM in Istanbul. 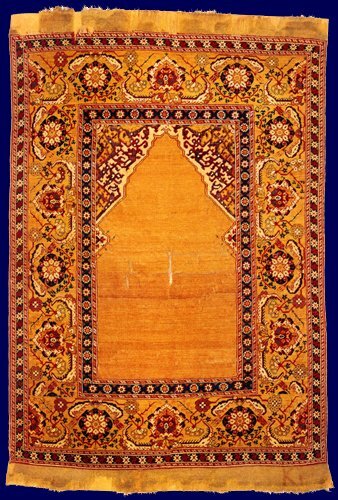 This excellent exhibition, which was not part of the official ICOC program, has been assembled by Nazan Olcer and Michael Franses inspired by the volume Antique Ottoman Rugs in Transylvania edited by Stefano Ionescu. 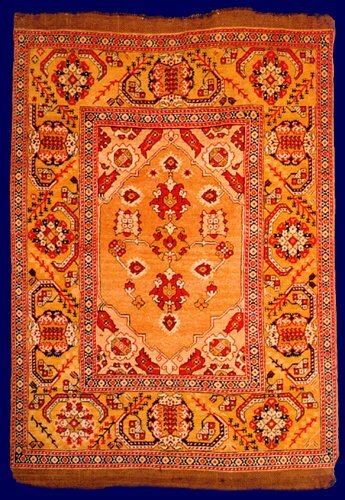 After the exhibitions in Rome 2005 and Berlin 2006 this is another occasion to admire a larger selection of ‘Transylvanian‘ rugs displayed in a reconstruction of the context where these rugs survived. 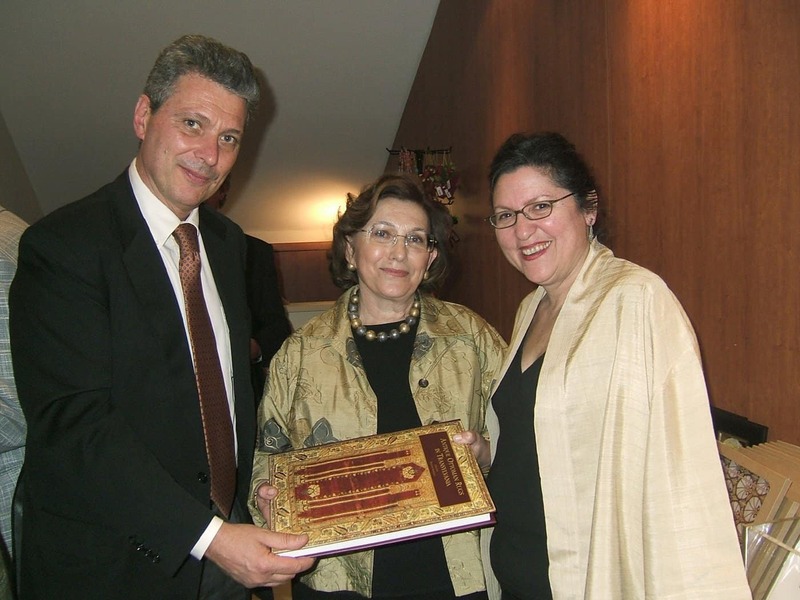 Stefano Ionescu presenting to Nazan Olcer and Selmin Kangal the new, revised and expanded edition of the book Antique Ottoman Rugs in Transylvania, launched 18 April 2007 in Istanbul.